As a writer, I am also an avid reader. This is true for most every writer honestly. Two basic tips every writer gets about becoming a writer is: Write a lot, and read a lot. That tends to be where you start to figure out how to write, and what makes good writing. I’ve become rather picky as a reader, because I can’t stand poor writing. We learn to mimic and then develop our own writing styles from our various adventures into books. Where do I even begin? 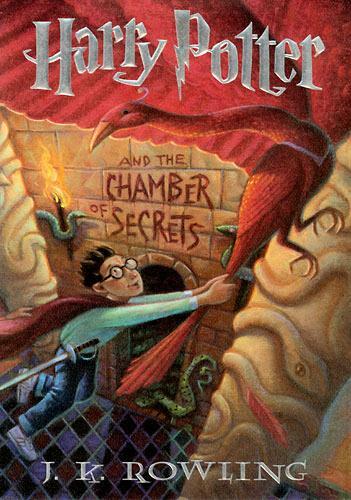 I can easily say this – I will never forget when I was a kid, and my mom and I were reading the end of Harry Potter and the Chamber of Secrets (we took turns reading the book to each other), and how excited it made me. Especially that showdown in the Chamber itself. Whoa, buddy. I couldn’t sleep because I was so into it, and I remember being desperate for the next book. That’s a damn good writer, in my opinion, to stick with a kid like that. I was like eight or nine when I read that book. And while I read all the time, I know that was my first experience where I was deeply affected by what I just read. But aside from my childhood adoration, Rowling is a damn good creator of worlds. And not just that – she beautifully stitched her world into our world, in such a way that I still want to believe. Enough for seven books – not counting the extras like Fantastic Beasts and Where To Find Them, etc – as well as eight movies, plus the now TWO theme parks… That’s a pretty powerful world, rich with details and developed perfectly. 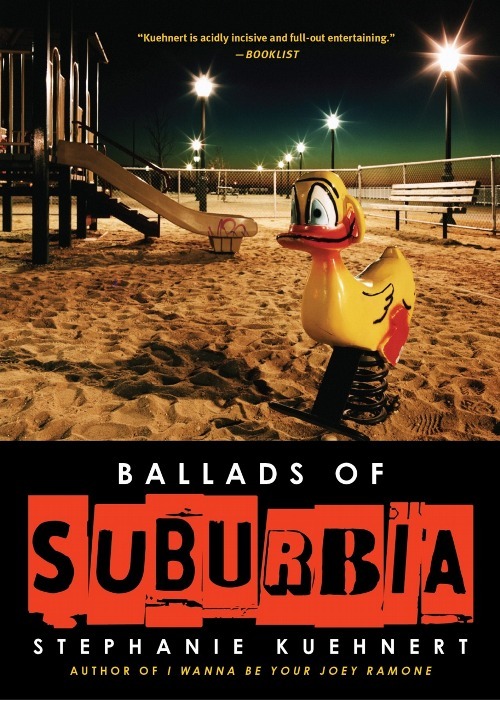 If you haven’t read “I Wanna Be Your Joey Ramone” or “Ballads of Suburbia“, go and do it right now. Well, maybe not read them at this exact second. But locate them. Buy them or borrow them or whatever it is you need to do to get your hands on these books. Then, you can fully appreciate how much I adore her writing. Her books feel real and raw, and less like fiction than reading a memoir or even recalling your own past. She has an eloquent way of writing, with idiomatic dialogue and descriptions. Just trust me. I’ve never recommended these books to anyone who hasn’t loved them. 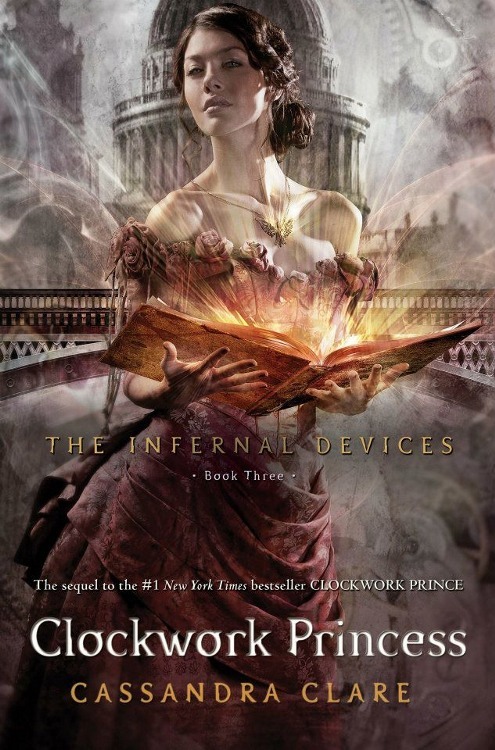 Another weaver-of-worlds to admire, Cassandra Clare has beautifully connected her Shadowhunter worlds in The Mortal Instruments series and the Infernal Devices, not to mention the Bane Chronicles and the not yet released Dark Artifices (which ties in nicely with the rest in the final Mortal Instruments book, City of Heavenly Fire.) And that’s something I greatly admire. Some writers couldn’t handle having a multiple series universe, let alone trying to occasionally allow those characters to interact or the decisions in one book series have a reaction with an entirely different series. That’s pretty awesome to me. Now here is a writer I truly envy, because her writing is amazing. Like, seriously. 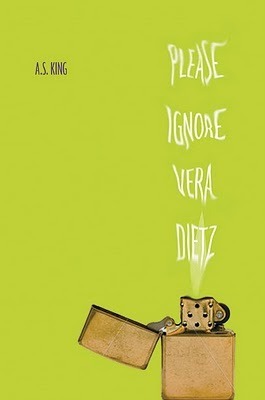 One of the most powerful scenes I’ve ever read was in her book “Please Ignore Vera Dietz” – there is a scene involving her father that struck home with me so hard, I had to close the book a moment just to breathe. But beyond that, there is something so beautiful and different about her style that I adore, and her characters are so strong, even when they’re weak. They’re real and developed and I love them. I’d recommend her books if you’re a writer looking to read something great to influence your style, or even if you’re just a reader looking for something new to love. Now, there are several other writers I could add to this, and I probably will do another round before long (seriously, how can I discuss writers I admire and NOT mention Stephen King, Joe Hill, or Jack London? ), but for now this list is a good representation. Stay tuned for more wonderful and super-dee-duper exciting updates on health, writing, and more.